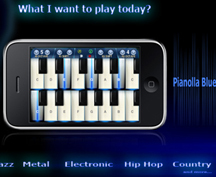 Pianolla Blue is professional Piano musical instrument for iPhone and iPod Touch in hand. 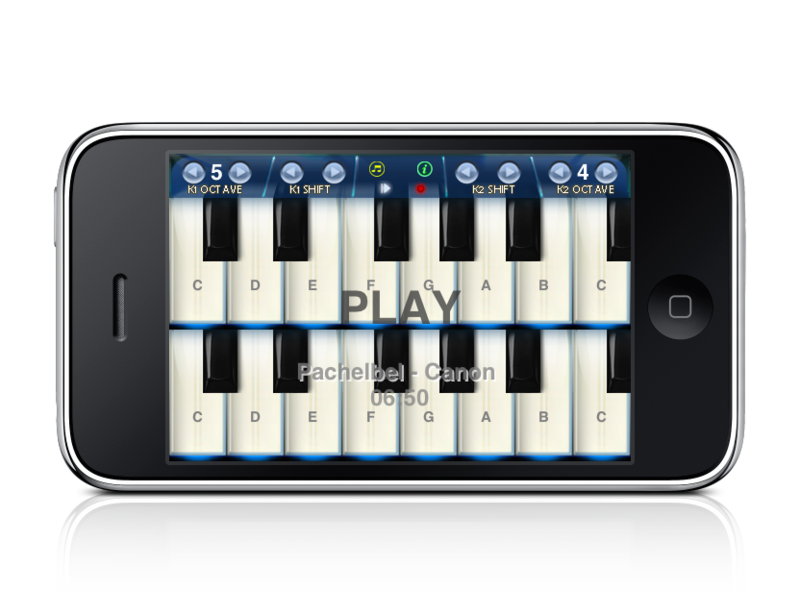 Learn and play piano with your iPhone/iPod anytime anywhere. Listen famous melodies. Record own melodies. 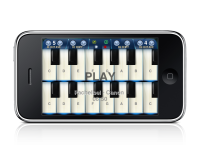 Play any of 88 piano notes on your screen by touching the keys. 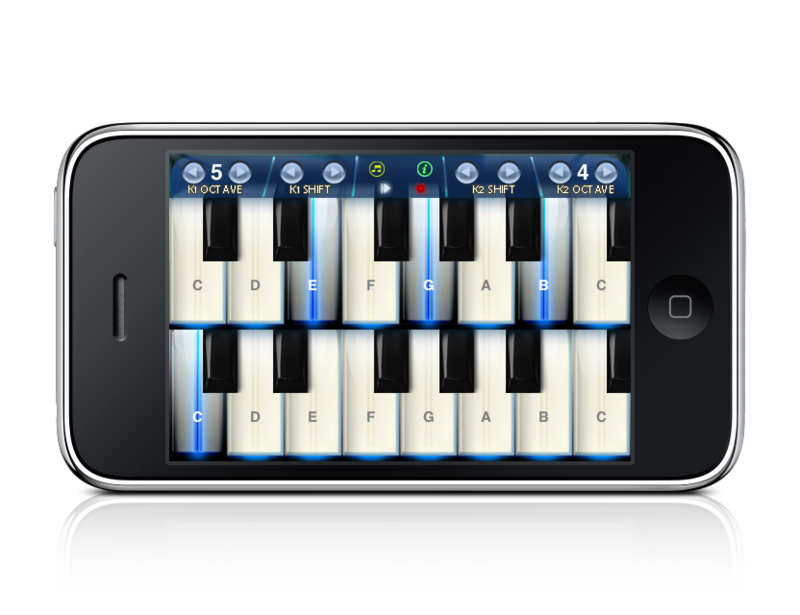 Play any number of the visible keys simultaneously. Use two hands to play melody and bass. Eg. right hand for melody, left hand for bass. Or left hand for bass and right hand for multiple tone polyphonic melody. Or play two polyphonic melodies by left and right hands. All of this is possible. 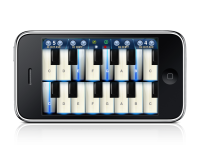 Change octave of each hand keyboard separately. Change shift of each hand keyboard separately. This way you can play music with any start notes. Are you interested about famous music/compositions? Over 60 professionally recorded famous melodies songs/sonatas/compositions/symphonies in the current version from famous composers like Bach, Beethoven, Bizet, Brahms, Chopin, Debussy, Dvorak, Gershwin, Grieg, Handel, Haydn, Liszt, Mozart, Pachelbel, Radetzsky, Rossini, Strauss, Tchaikovsky, Verdi, Vivaldi, Wagner and many more. 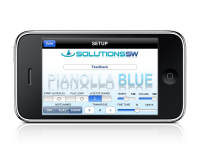 Additional compositions could be provided to you with upgrades in possible next versions. 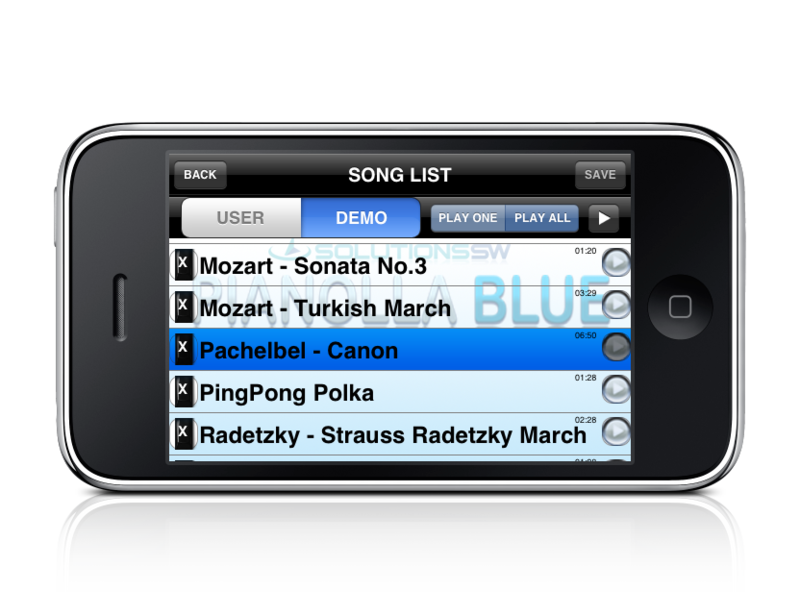 If you are interested in specific composition or composer in some of the future version, do not hesitate to ask. 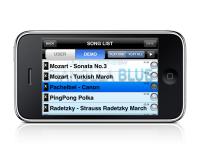 Record own music, musical performances or songs and to show it to parents, friends, colleges, crew etc. then. Play with friends simultaneously. Possibility to tune the instrument easily if needed. Play with other friends, parents, colleges, crew, etc. 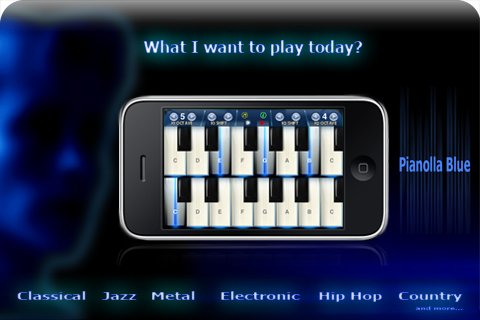 who have iPhone/iPod Touch or other musicians and musical instruments. Transpose instrument up and down +/- 36 notes. Fine tune instrument up and down +/- 50 cents. 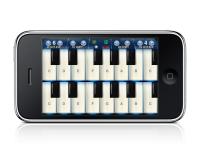 Switch on/off note labels or change flat or sharp symbol notation. Loop songs in playback mode and play with them. Change tempo of played music. Many more features there. 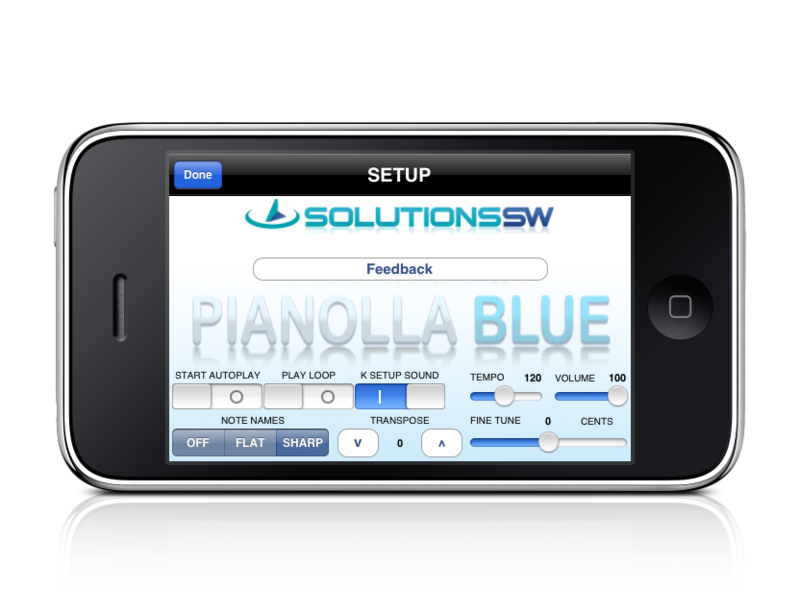 If you have any question, if you need help or advice or you would like to see possible new functionality, new feature or new song in possible next version of Pianolla Blue, send us a message and/or feel free to discuss any topic via support forum.